Bandwdth Publishing, in conjunction with the George Harrison Estate, announces the release of a special iPad app celebrating the guitarist and his historical guitar collection. 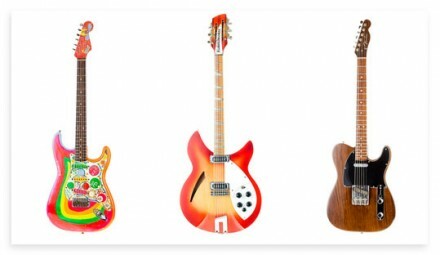 The Guitar Collection: George Harrison iPad app will be released through iTunes on February 23, two days before George’s birthdate. The app will sell for US$9.99 at the Apple App Store. This entry was posted in Beatles, Beatles Collecting, Beatles Music, George Harrison, Paul McCartney and tagged Beatles, George Harrison, George Harrison Guitars, iPad app, Music, My Valentine, Paul McCartney by beatlesblogger. Bookmark the permalink.